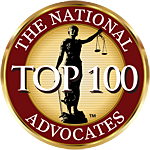 For over 20 years, my entire law practice has been focused exclusively on representing employees in San Francisco, the Greater Bay Area and throughout Northern California. I am a San Francisco attorney providing strong advocacy for employees in a wide variety of employment matters. My representation has resulted in favorable outcomes for several hundred employees. Please contact me if you would like to learn more regarding how my experience advocating on behalf of employees may assist you in addressing an employment issue. Perhaps you have been subjected to discrimination, retaliation or harassment at work, or were denied wages or wrongfully terminated. I can help you understand your rights and options during this challenging time. I am committed to seeking justice for employees who were denied work or advancement opportunities based on their disability, gender, race, religion, age, national origin or sexual orientation. I am also a fierce advocate for employees who were denied the wages they rightfully earned. If your employer has not paid you the wages you earned and were counting on, this can be a serious setback. I assist employees in recovering earned and unpaid overtime, commissions, bonuses and other wages. Having handled employment rights cases for over 20 years, I am experienced in helping employees secure lasting and positive solutions for work-related issues. My track record as an honest, knowledgeable and assertive employee rights litigator significantly enhances my credibility with employers and their legal teams. As a sole practitioner, I will be the one providing you direct representation through each and every stage of your case. My exclusive focus on employee rights allows me to tailor my representation based on your specific needs. I pride myself in staying current on all of the evolving employment laws, which allows me to provide knowledgeable and thorough advocacy. From the initial case analysis, to protection against discrimination, retaliation, harassment, wrongful termination and the withholding of earned wages, and to the filing and handling of a lawsuit when necessary, I provide my clients focused representation throughout every step of their employees' rights cases. The Law Offices of Alan Adelman is centrally located in the heart of San Francisco. Please call 415-906-3331 if you wish to discuss your employment matter.